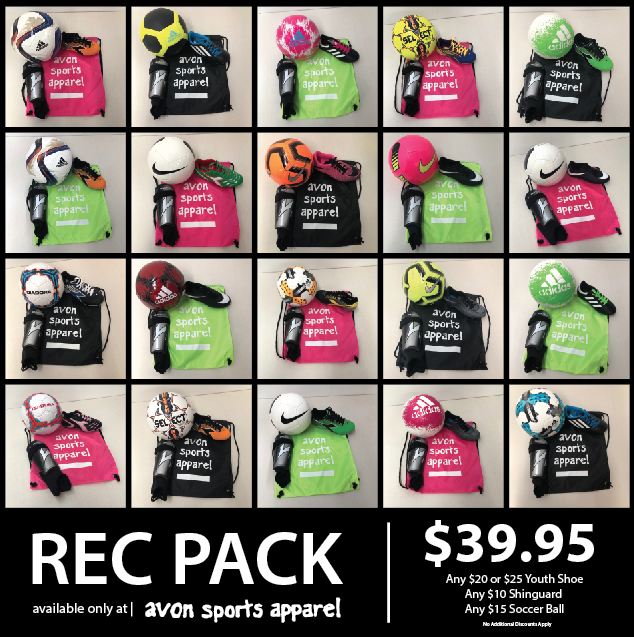 We are proud to offer a great starter pack for your youth soccer player! With numerous color and brand choices our Rec-Pack offers something for every style. Whether your player is all about matching or getting as many colors as possible, we have them covered. Any $20 or $25 youth shoe. The Rec-Pack is available at both of our locations. Stop by today and start the season off right!